The back of the Star Ferry from Hong Kong to Kowloon. I'm not apologising to anyone for this terrible pun. I can hear you all groaning from behind The Great Firewall. Our day trip from Shenzhen to Hong Kong and back was a great experience: we went up Victoria Peak and walked around the hill, took the tram back down and then the ferry to Kowloon. 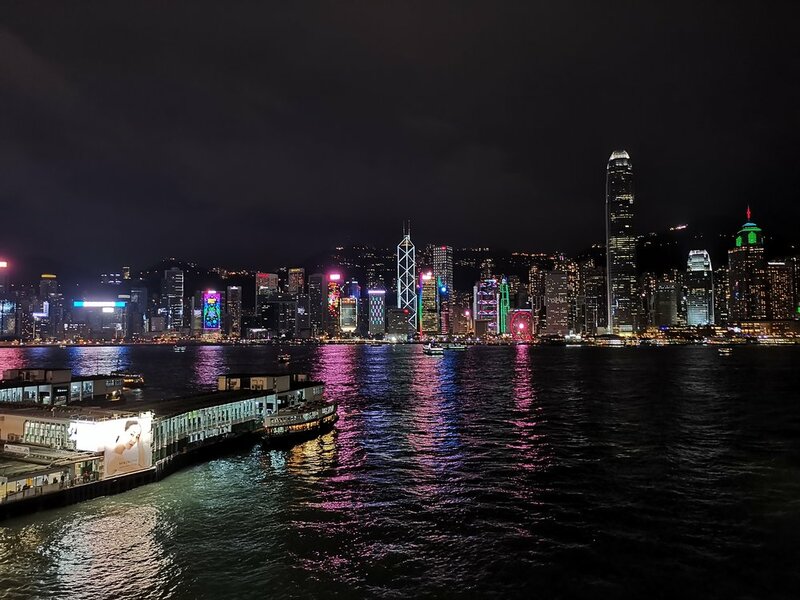 I had some great fun with the cameras of the Huawei Mate 20 Pro and the one on the Google Pixel 3 XL too: from zoom, to wide-angle selfies and night shots inight sense shots. We will be going into this in a bit more depth soon, but here are some samples to wet your appetites.